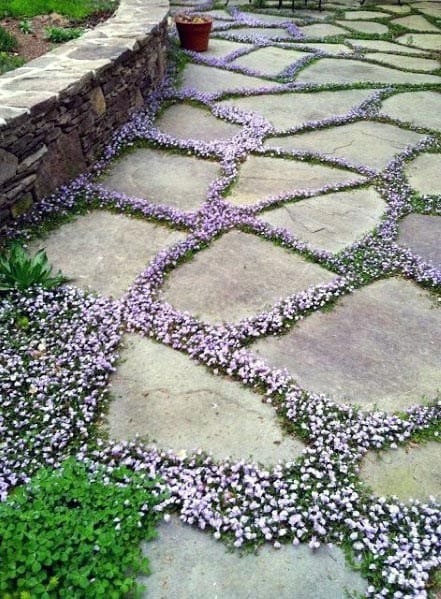 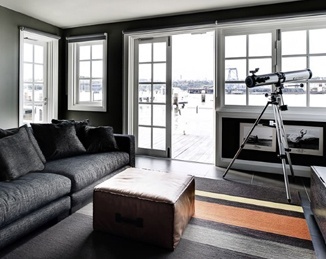 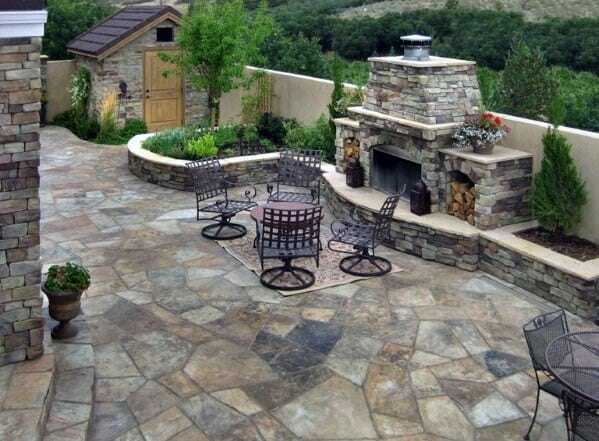 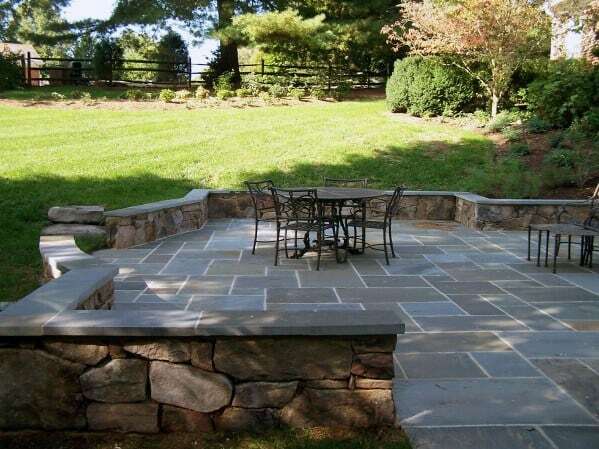 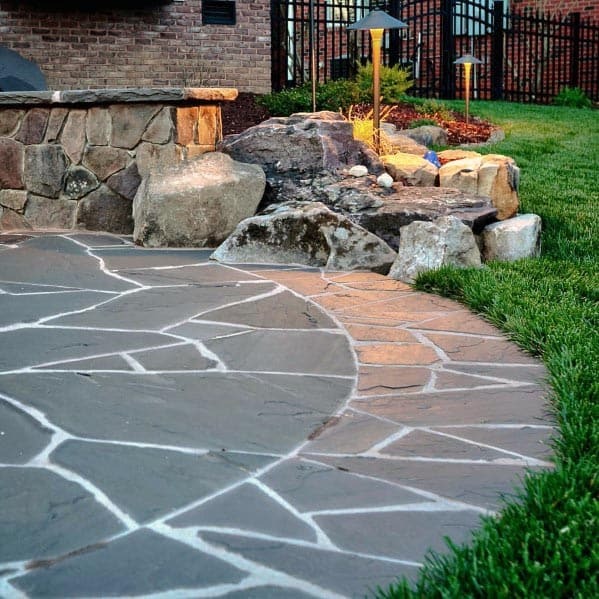 Flagstone is arguably one of the oldest materials used around the world, as easy to lay as it is appealing to the eye. 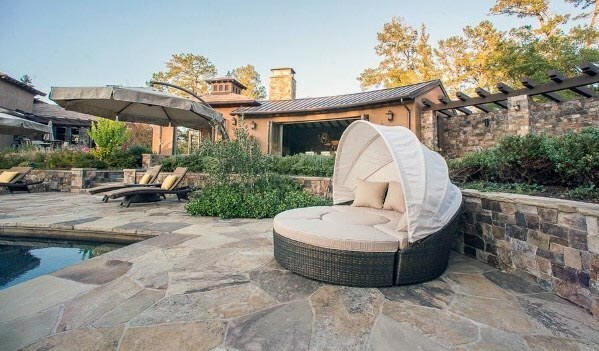 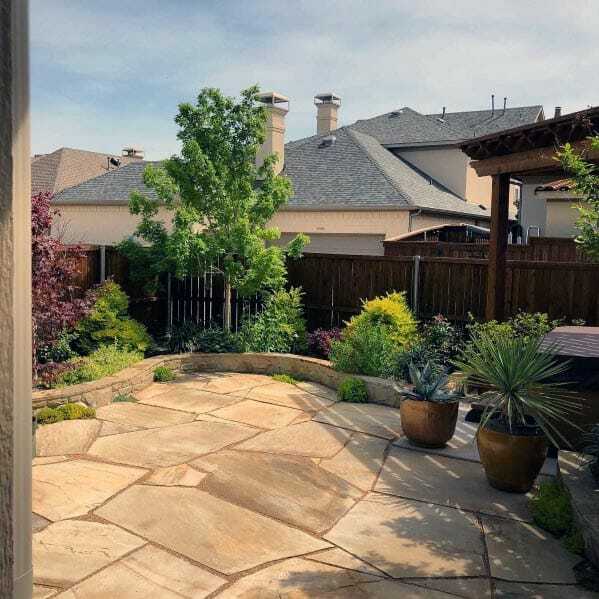 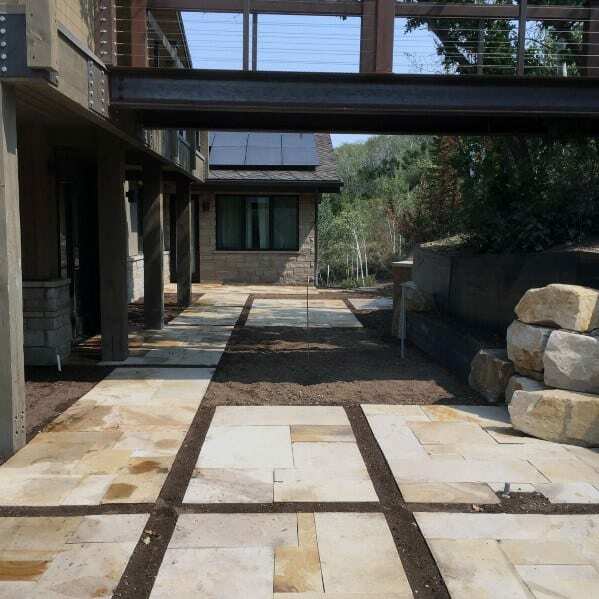 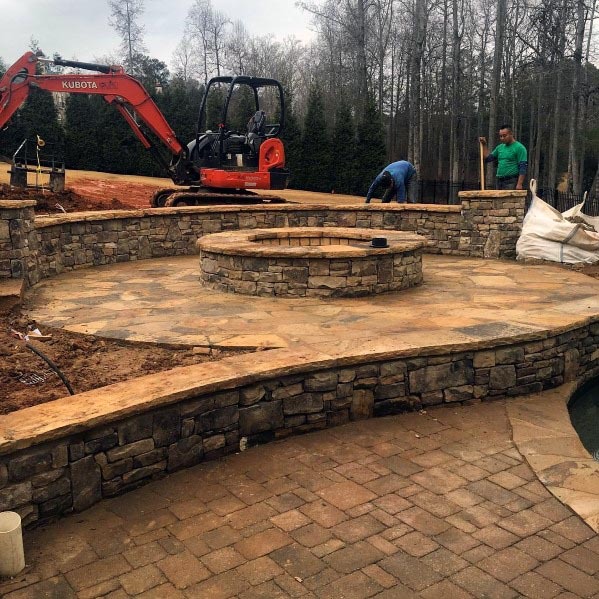 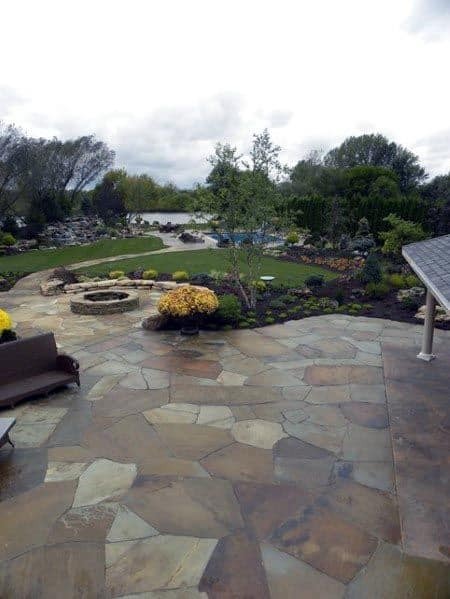 Unimposing but impossible not to admire, flagstone is the landscaper’s choice when it comes to designing a habitat suggestive of earthy splendor and natural elegance. 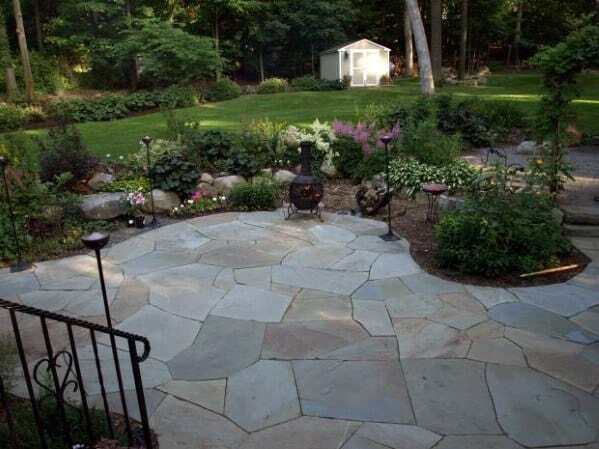 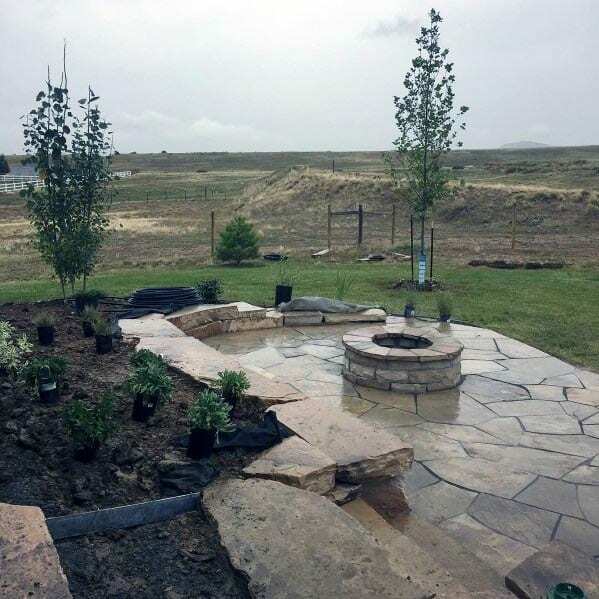 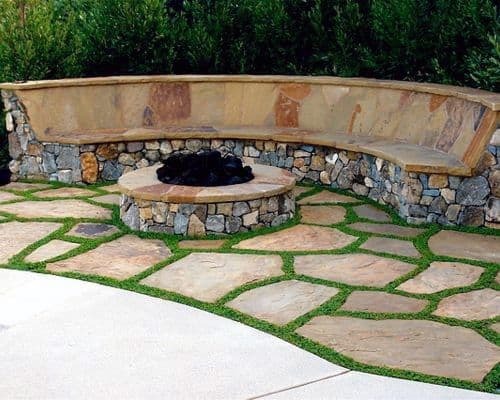 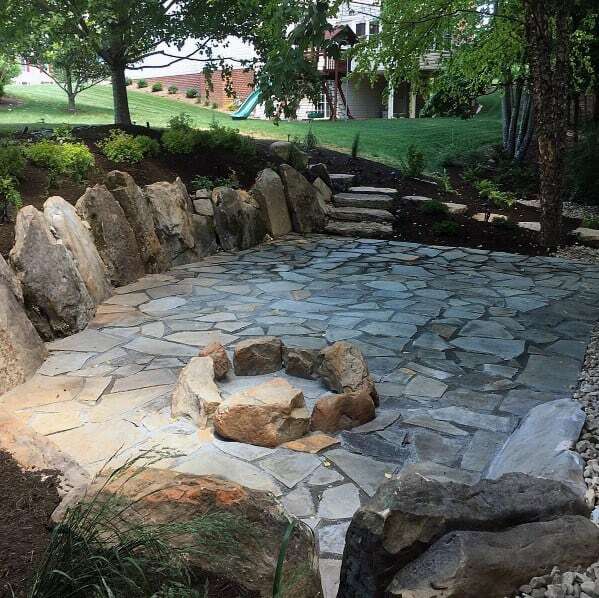 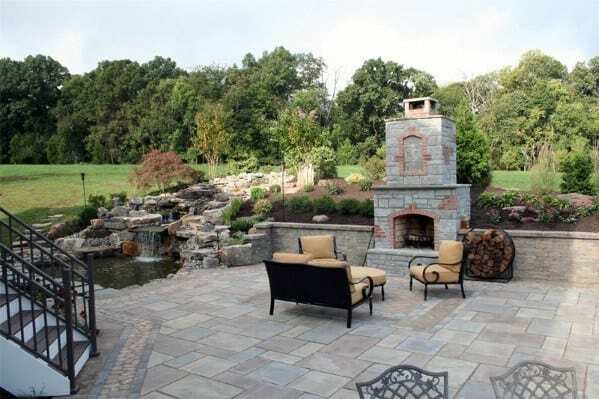 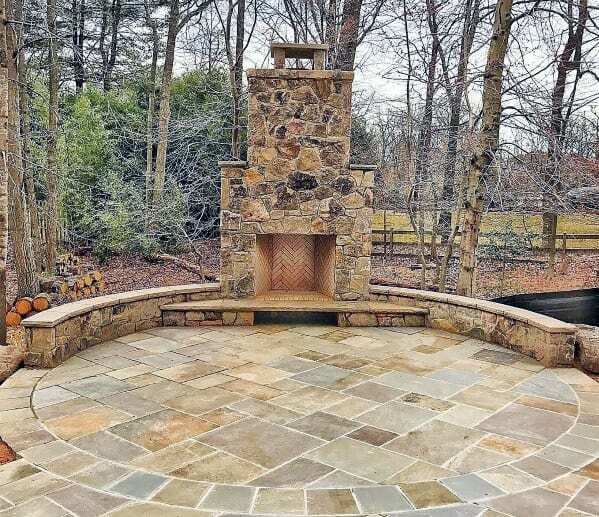 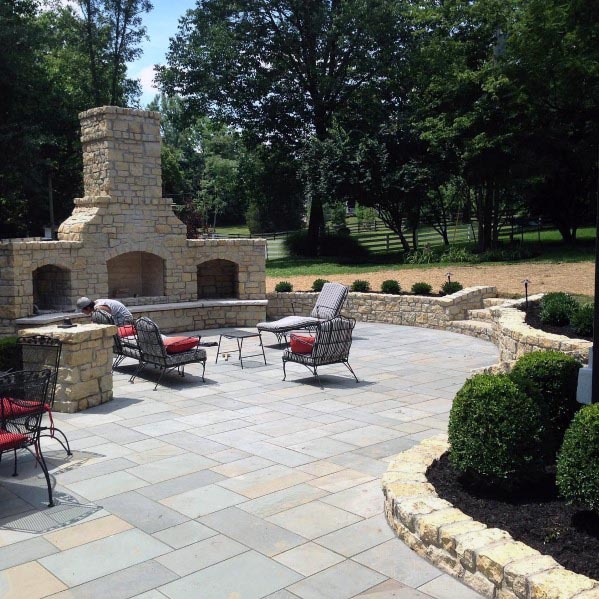 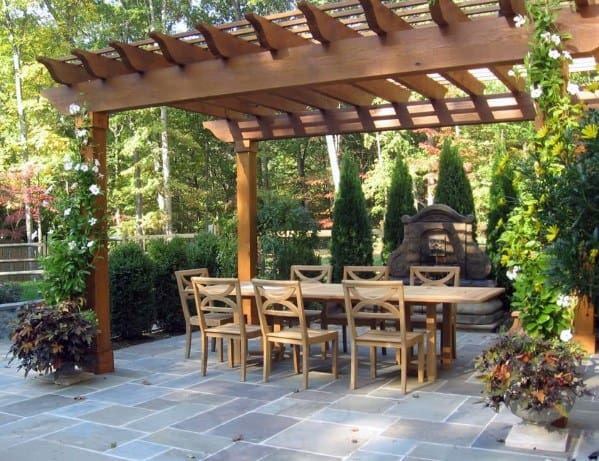 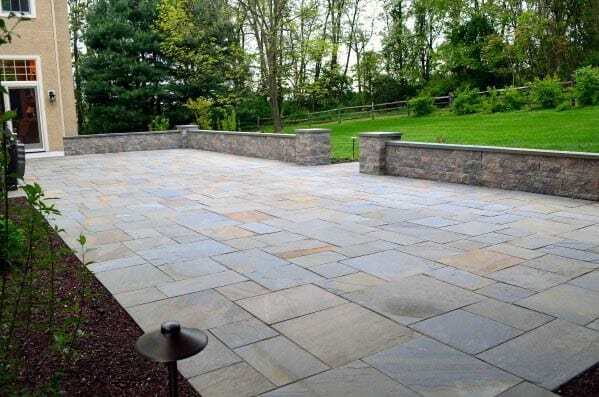 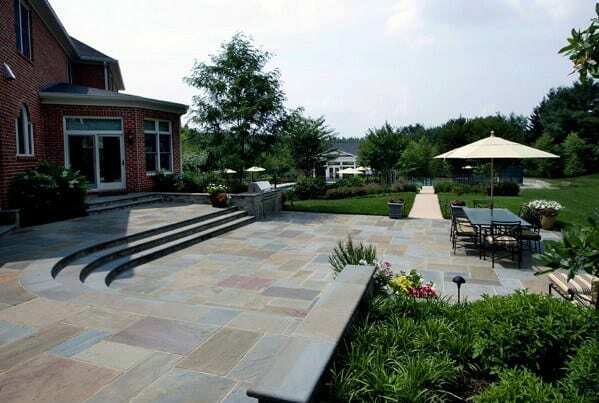 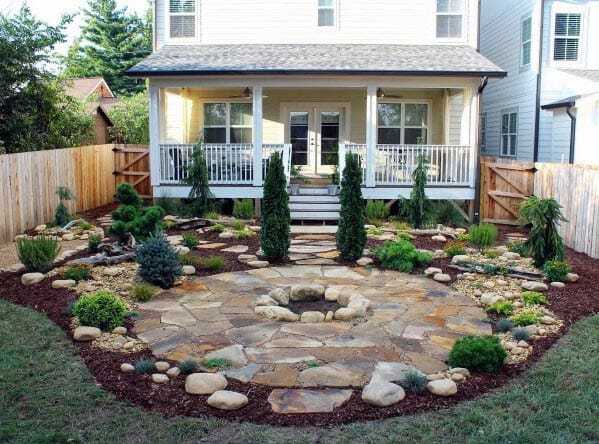 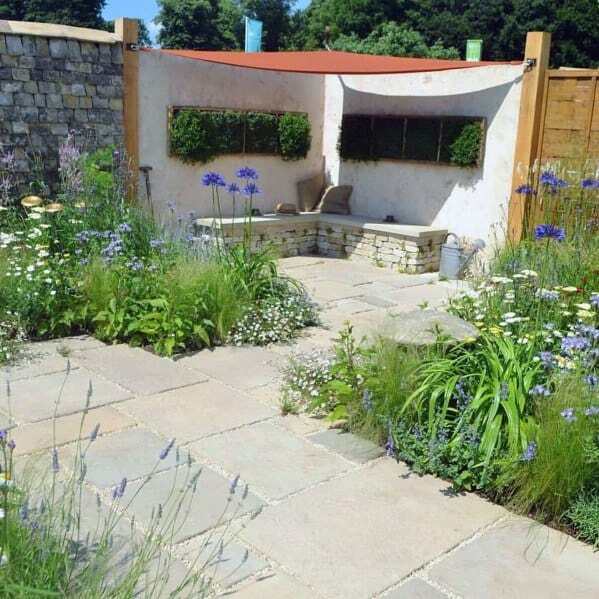 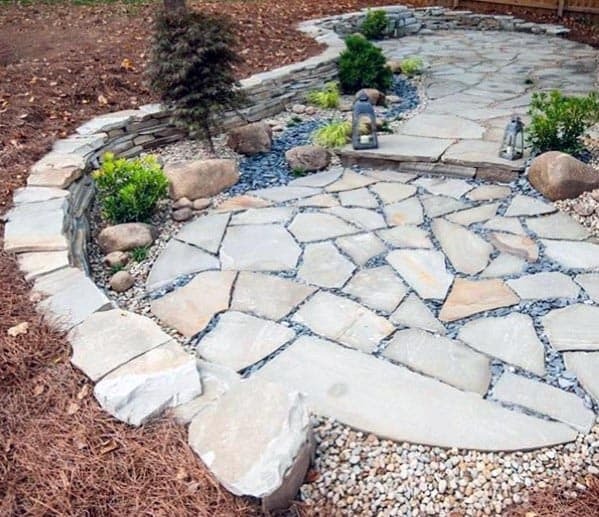 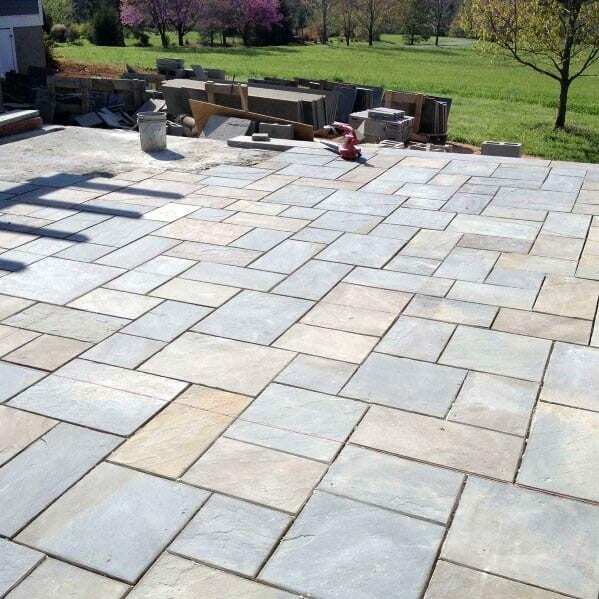 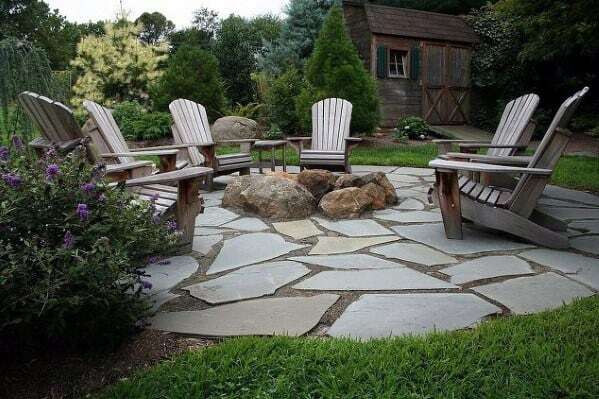 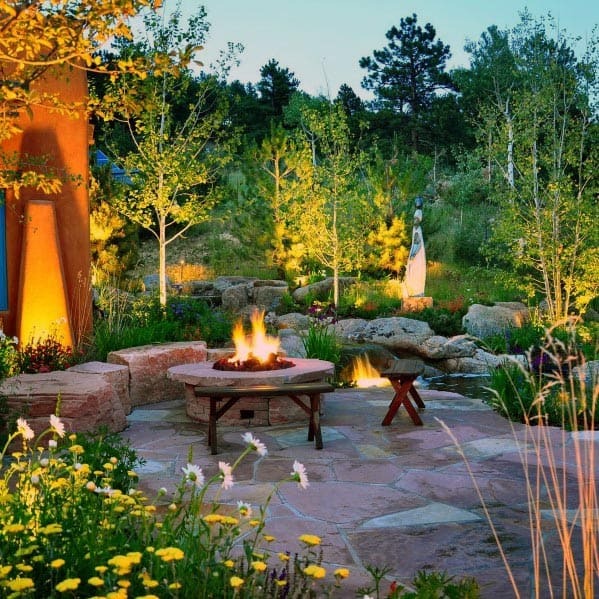 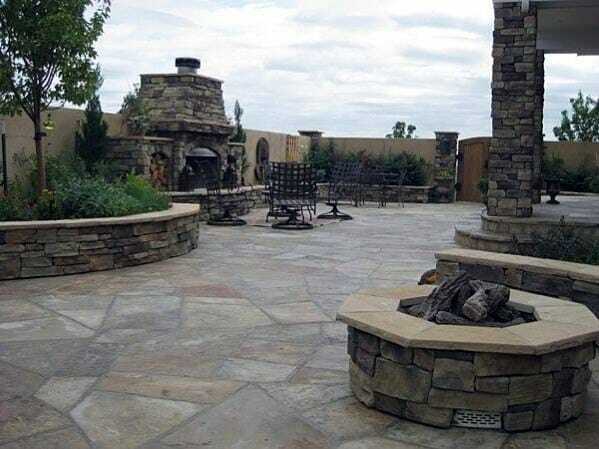 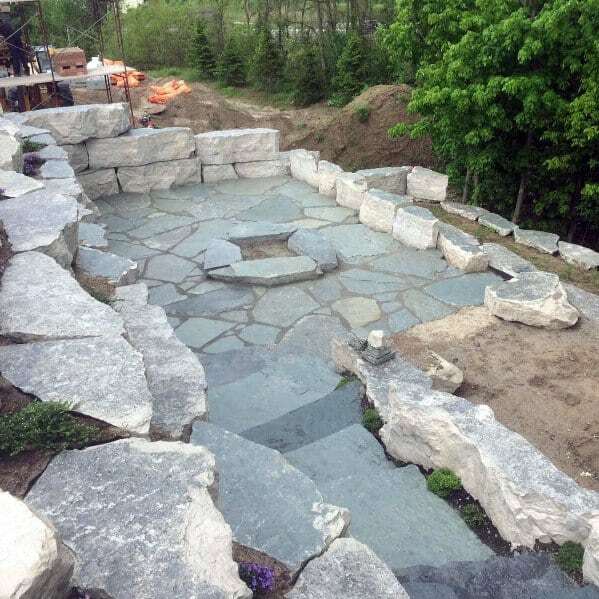 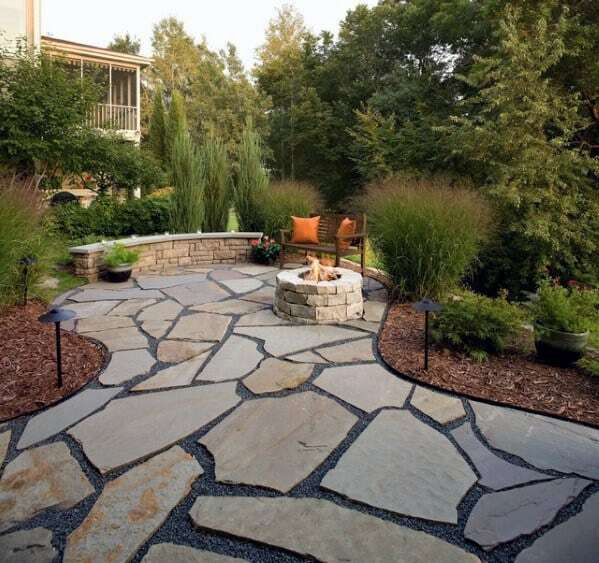 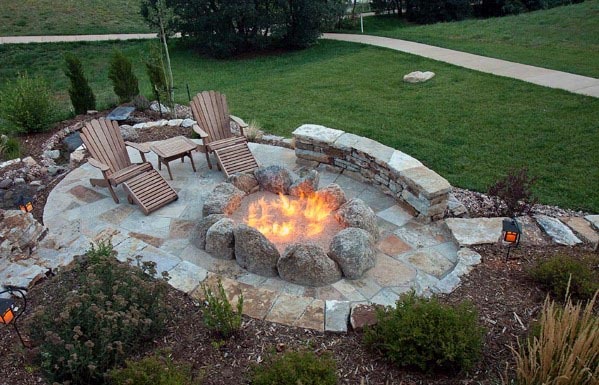 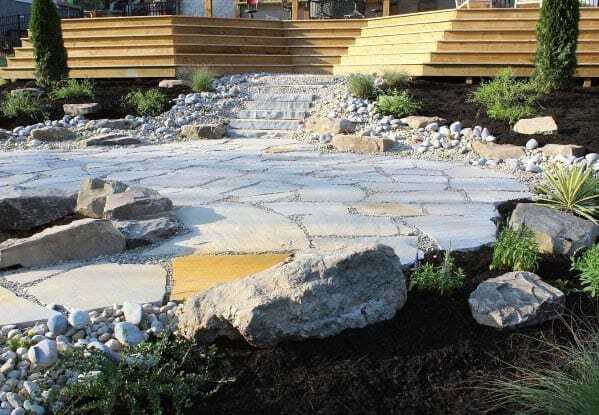 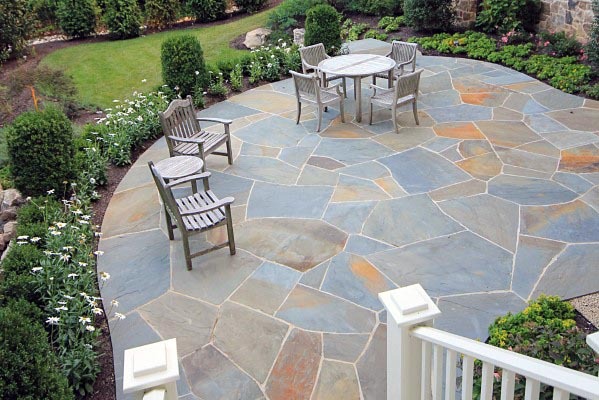 With its palette of grays, blues, reds, and browns, and available in multiple materials from which to browse, it’s no exaggeration to claim that there is a flagstone choice for every garden and plot of land. 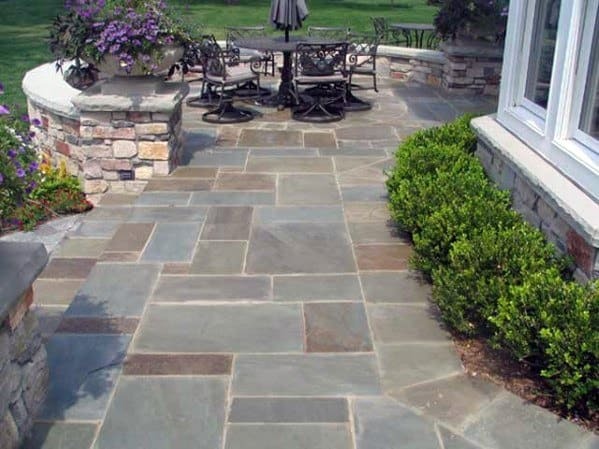 Limestone, slate, and sandstone are popular choices, with many opting to allow grass and moss to grow between the stones for added charm. 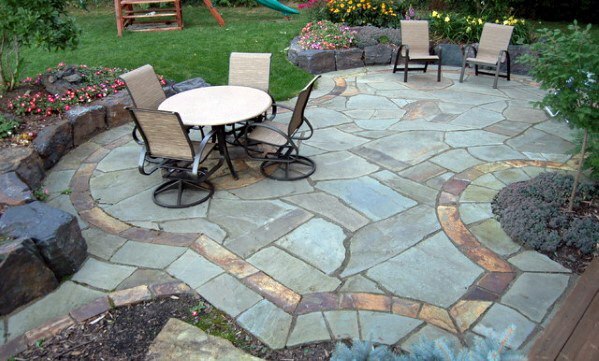 Circular schemes or rectangular patterns abound in the flagstone layout, with a number of carefree souls conversely opting for a more fluid, undetermined flow. 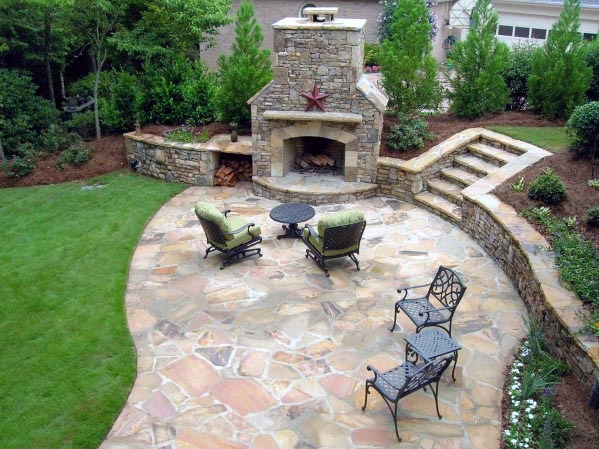 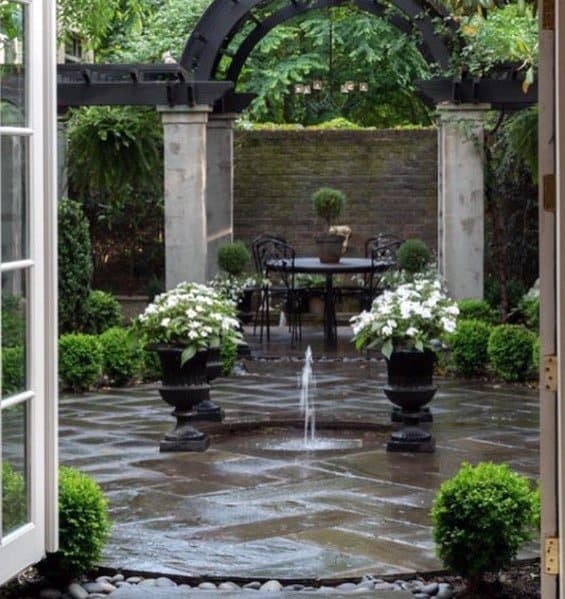 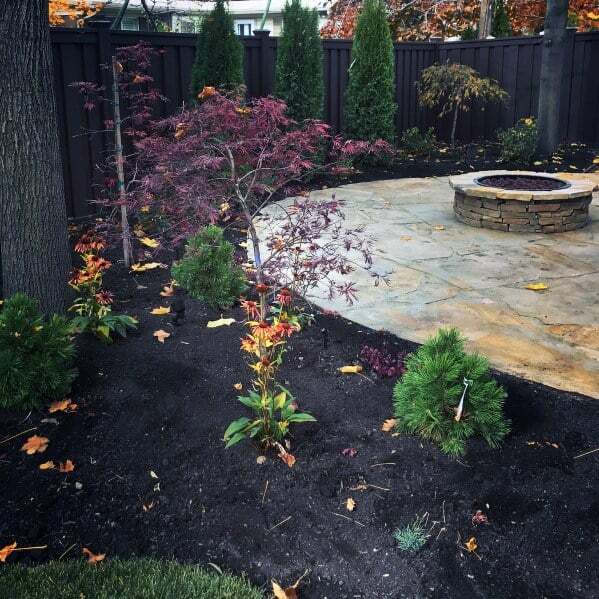 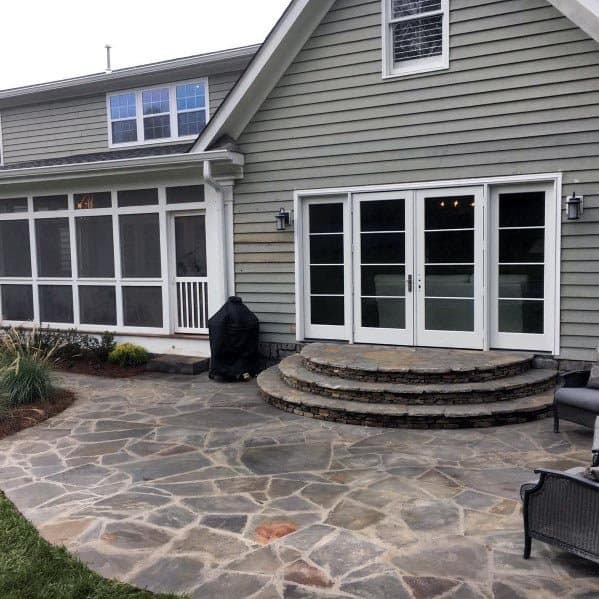 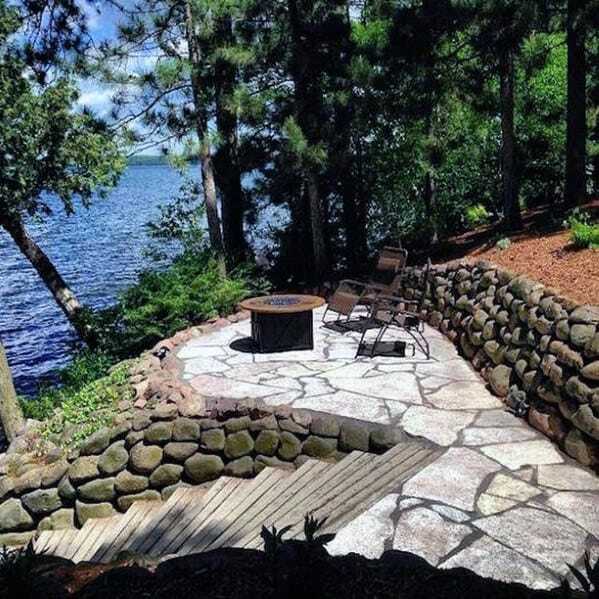 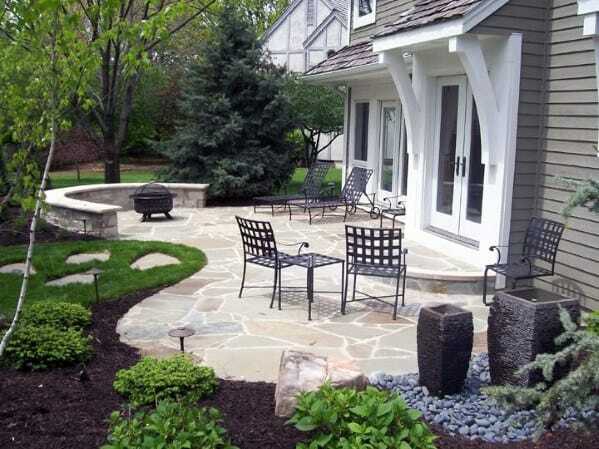 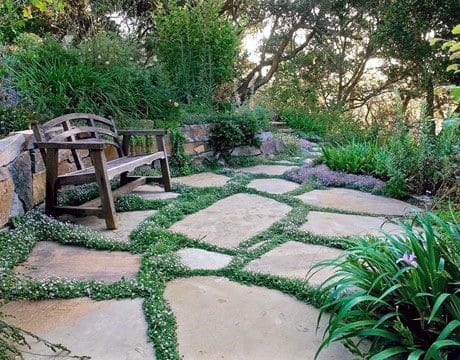 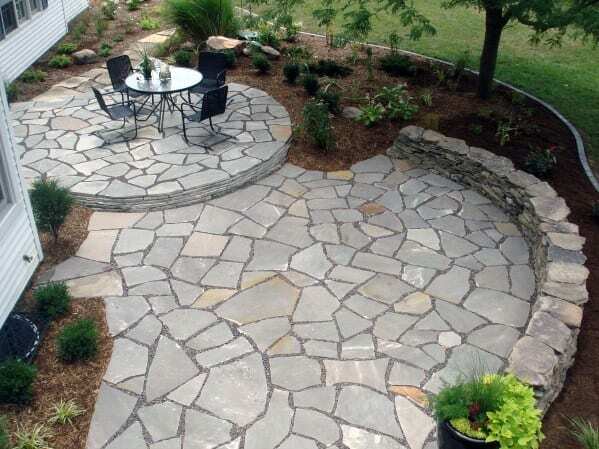 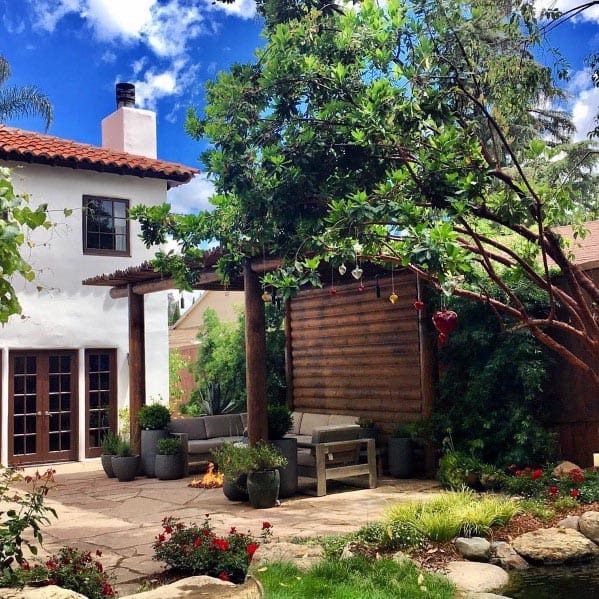 Your flagstone path and/or patio should make you feel instantly at home with its timeless provincial allure, and like your home, there are no wrong choices when it comes to appointing your personal outdoor habitat. 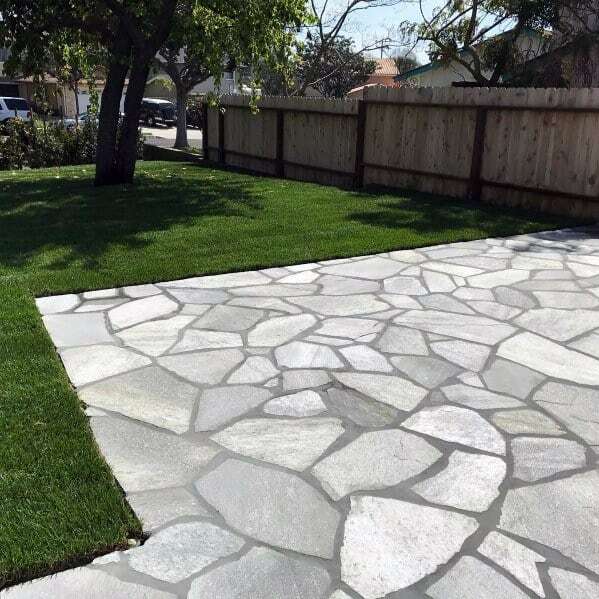 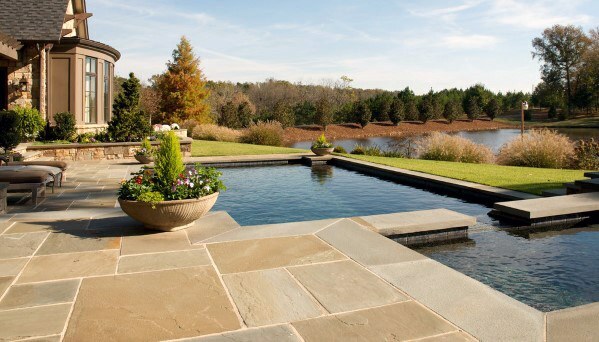 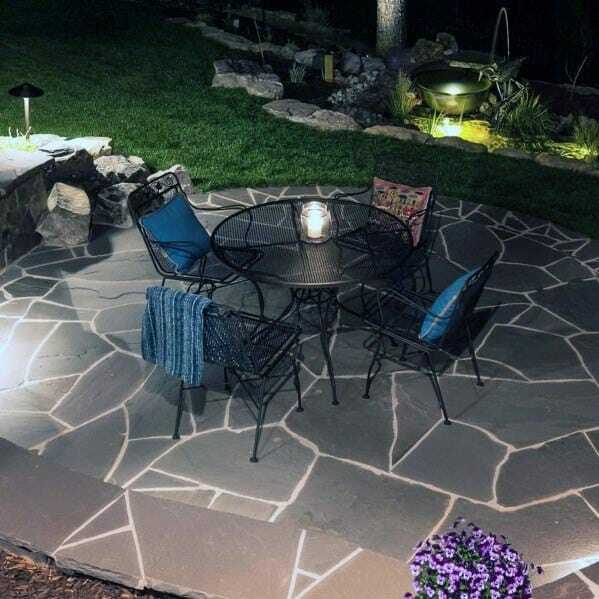 Simple to maintain and promising years of enjoyment, flagstone is the natural choice for the discerning outdoorsman wishing to blend organic beauty with equally time-honored nuance. 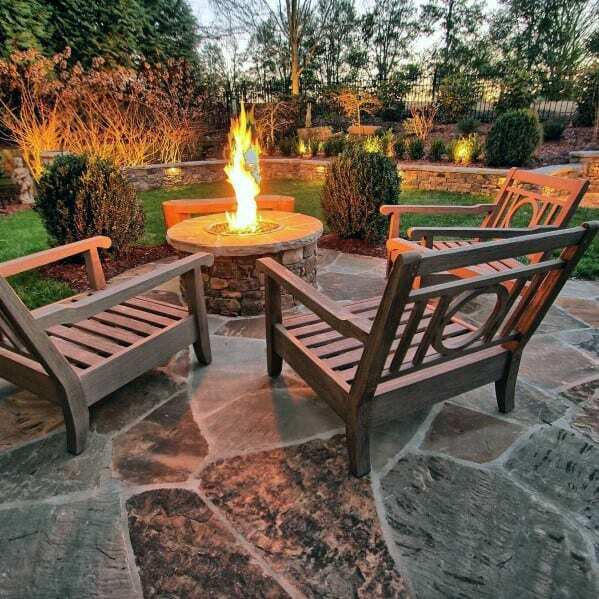 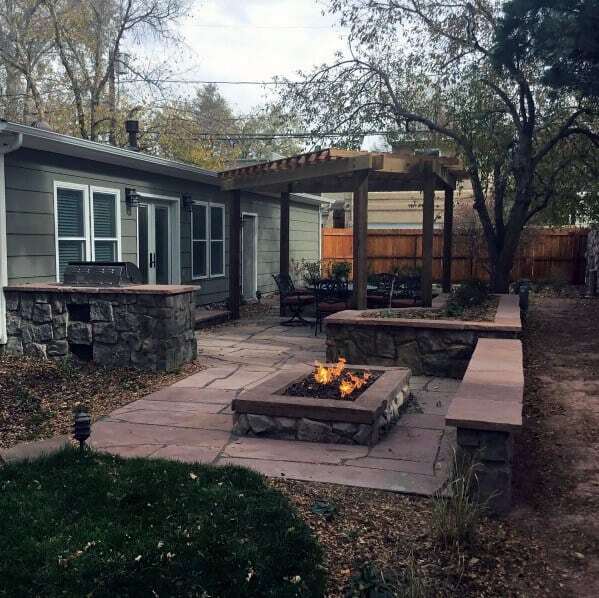 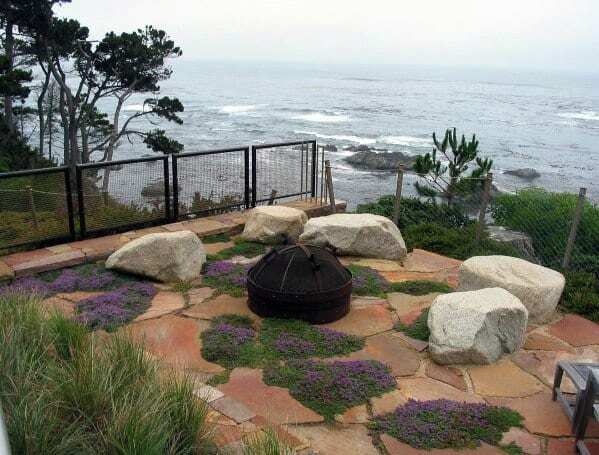 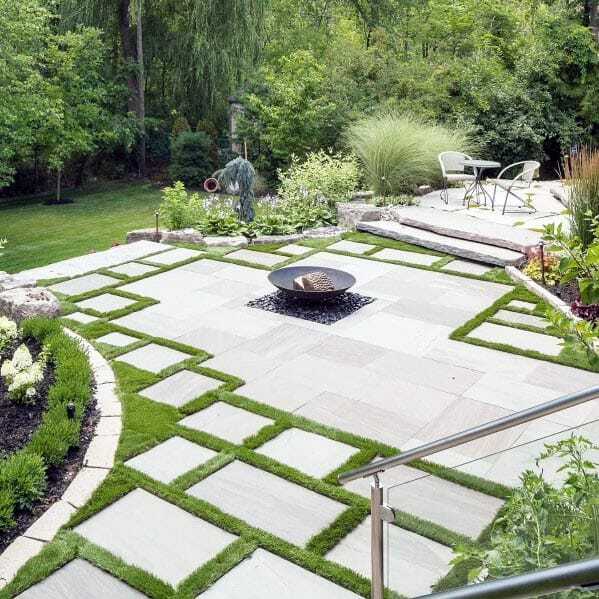 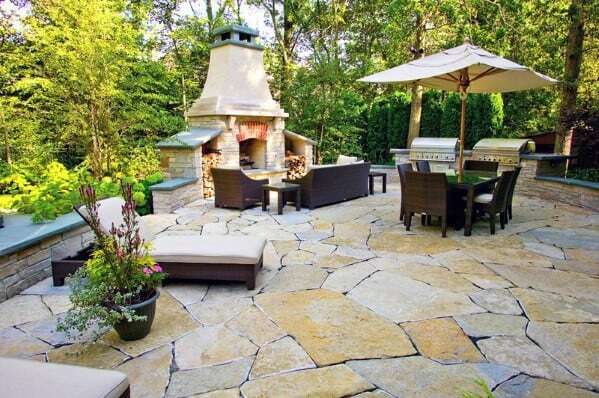 These top 60 best flagstone patio ideas will see you through years of dinner parties, barbeques, intimate gatherings, and solitary moments of relaxation, just as it has for centuries of souls who came before us.